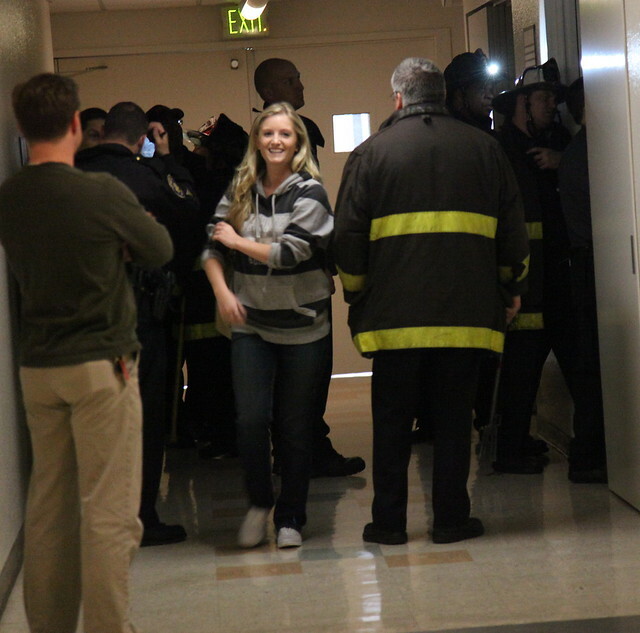 Taylor Harraman, 21, exits an elevator that she was stuck in due to a campus-wide blackout Monday, April 18th. 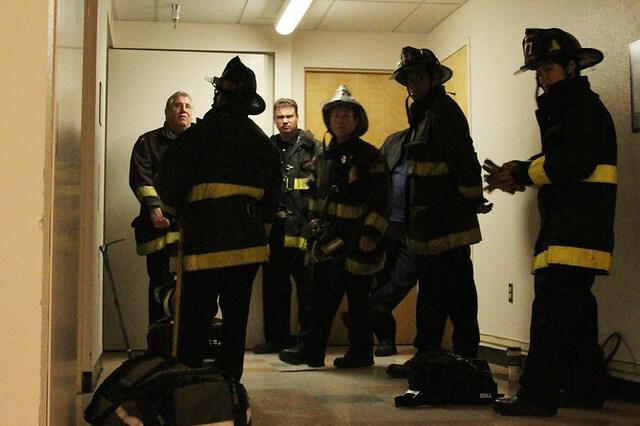 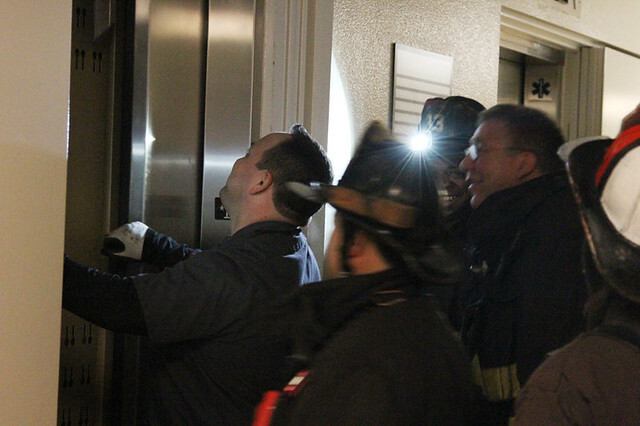 Firefighters were able to free her after being in the elevator for 45 minutes. 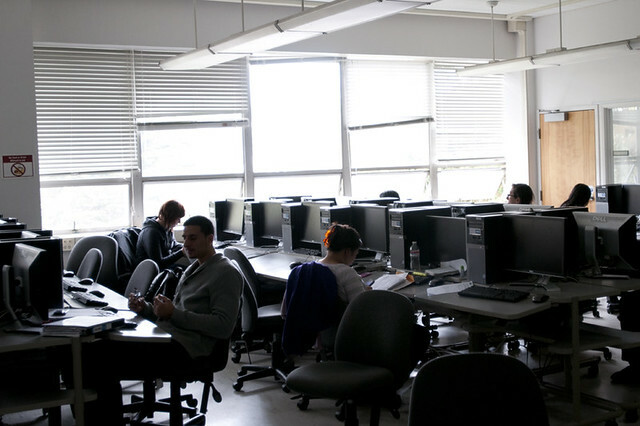 Jasmine Beaghler / staff photographer. 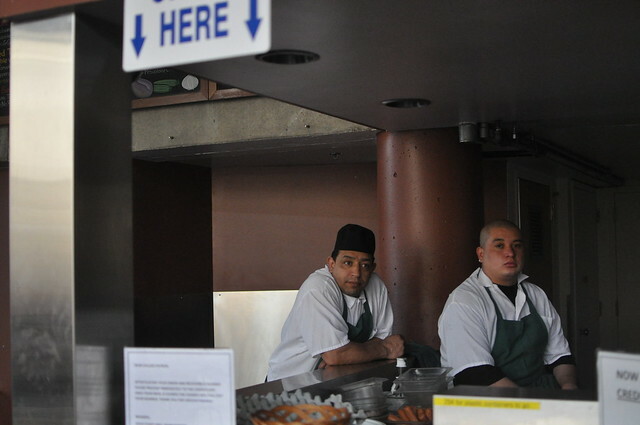 Edgar Gomez Tapia (right) and another cook at the grill in Cesar Chavez wait for the power to turn on so they can continue to work. 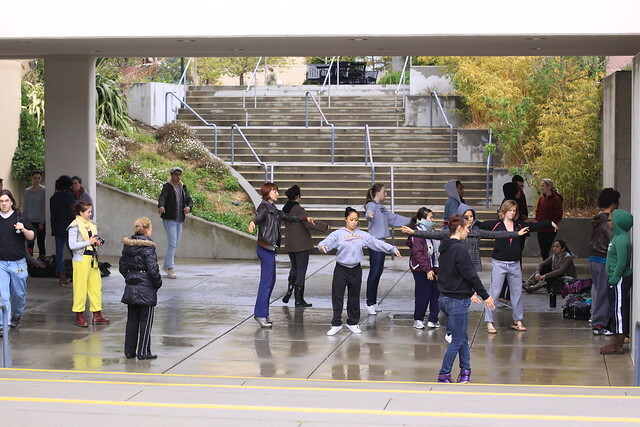 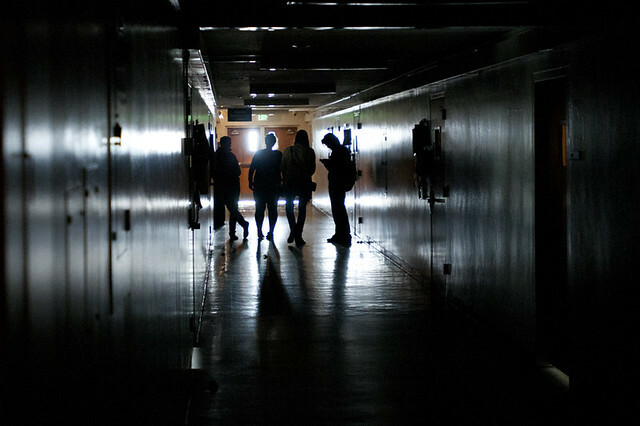 The entire campus was affected by a power outage at approximately 11:00 a.m on Monday. 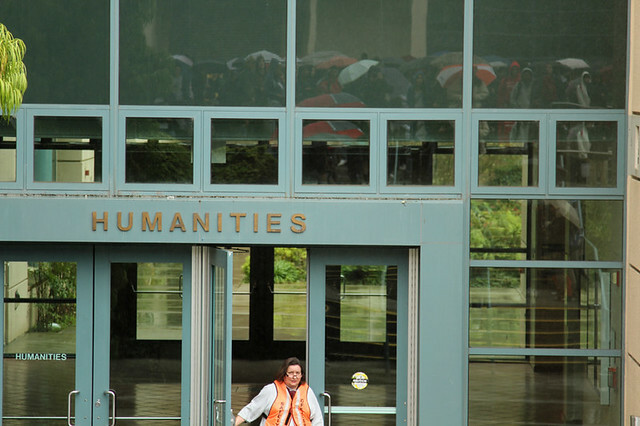 Greg Moreno / staff photographer.